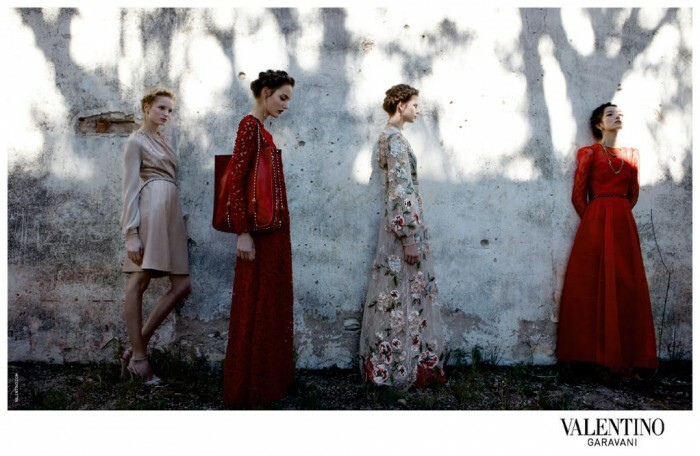 Valentino creative directors, Maria Grazia Chiuri and Pier Paolo Piccioli tapped stellar casts for the brand’s Spring Summer 2012 advertising campaign preview photographed in Pozos, Mexico, by artsy photographer Deborah Turbeville and styled by Karl Templer that will breaks in fashion magazines in January. 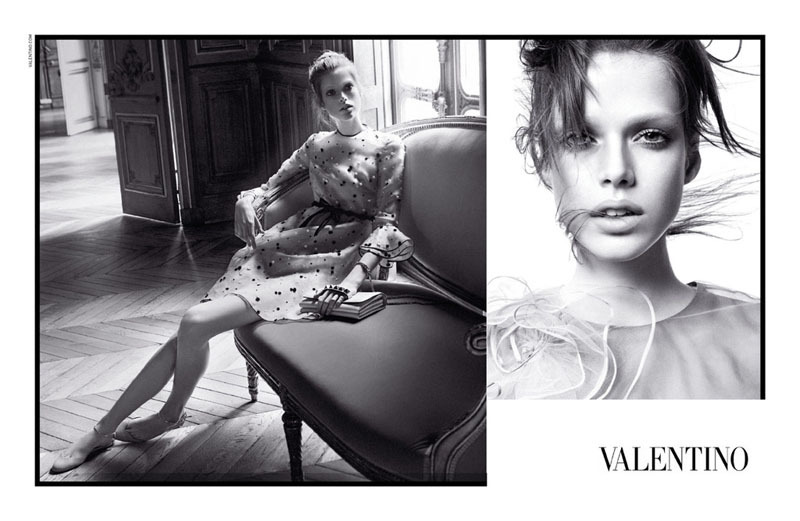 Newcomer Maud Welzen is posing along with top names such as Zuzanna Bijoch, Bette Franke and Fei Fei Sun with the romantic braided hair done by Mark Hampton and the lovely make up by Pierre Orlando. 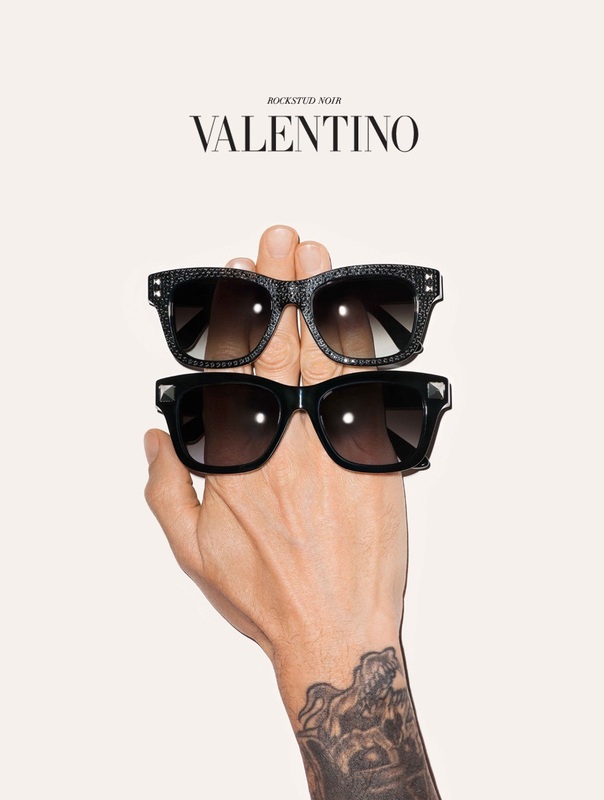 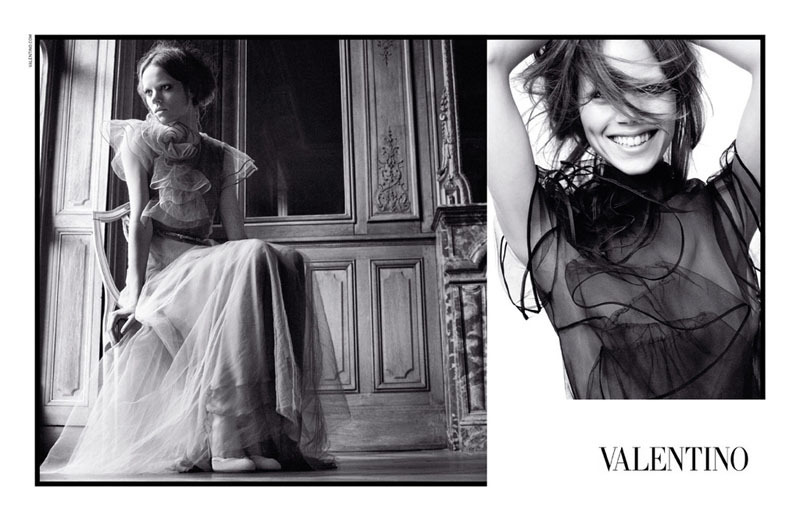 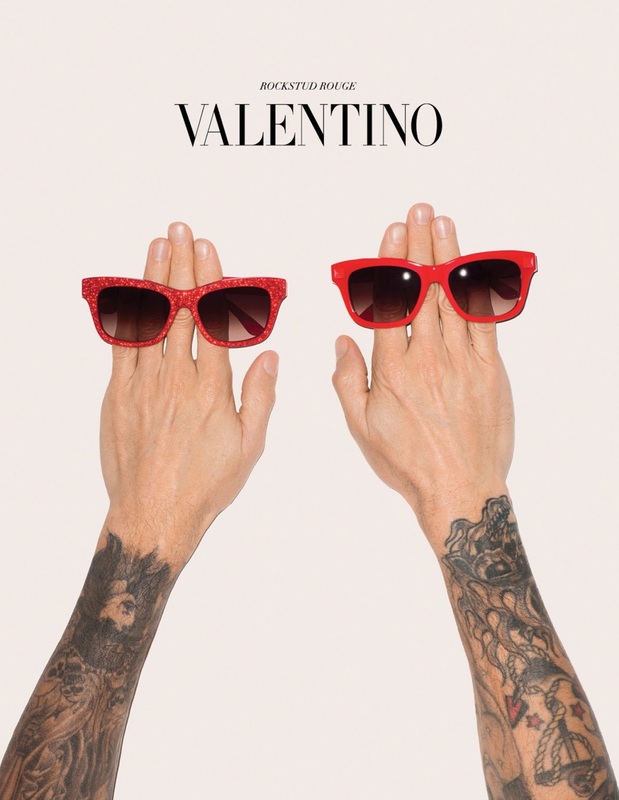 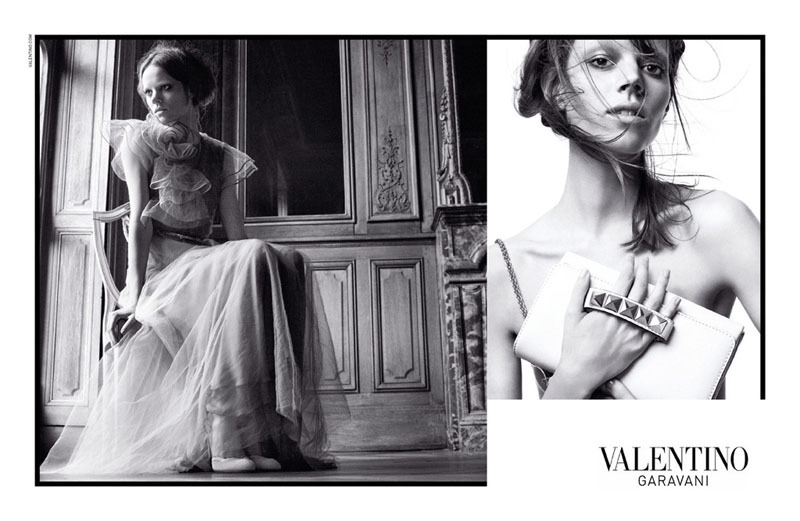 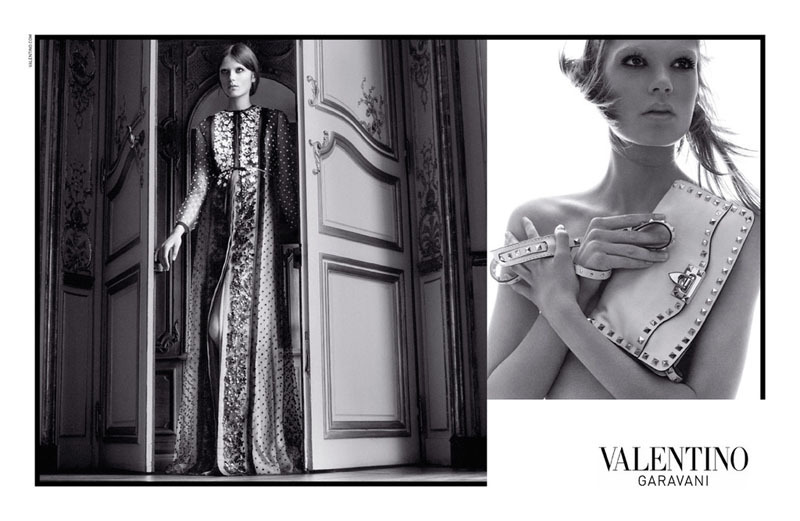 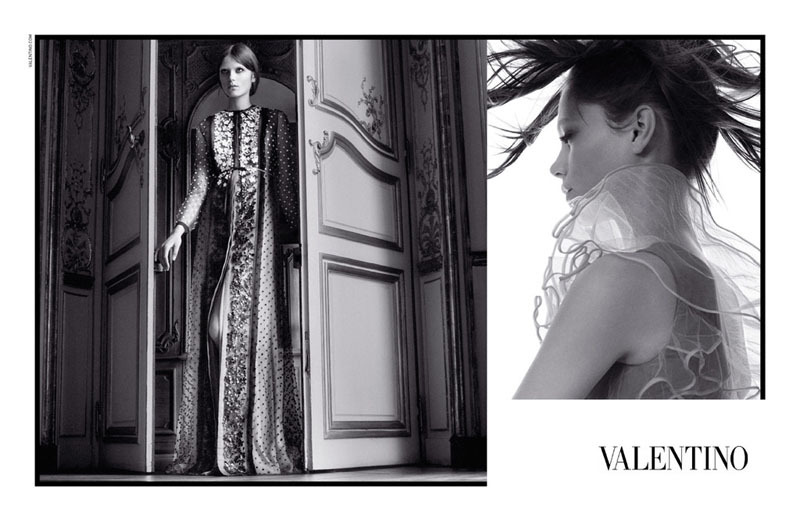 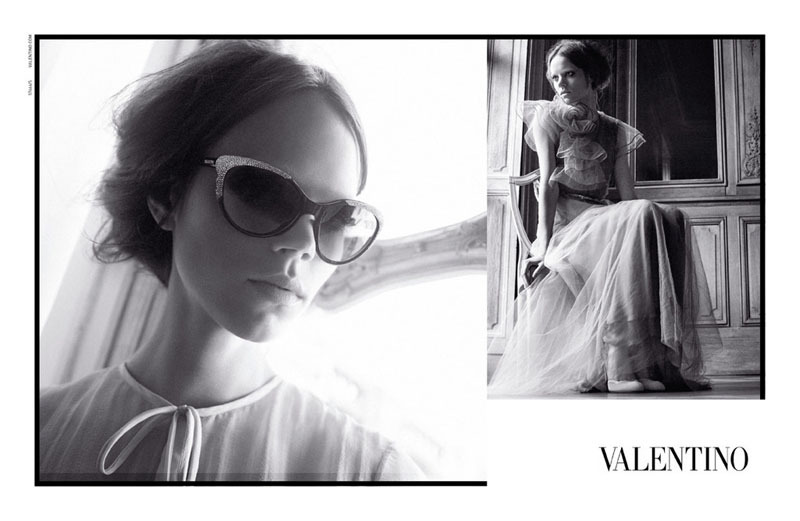 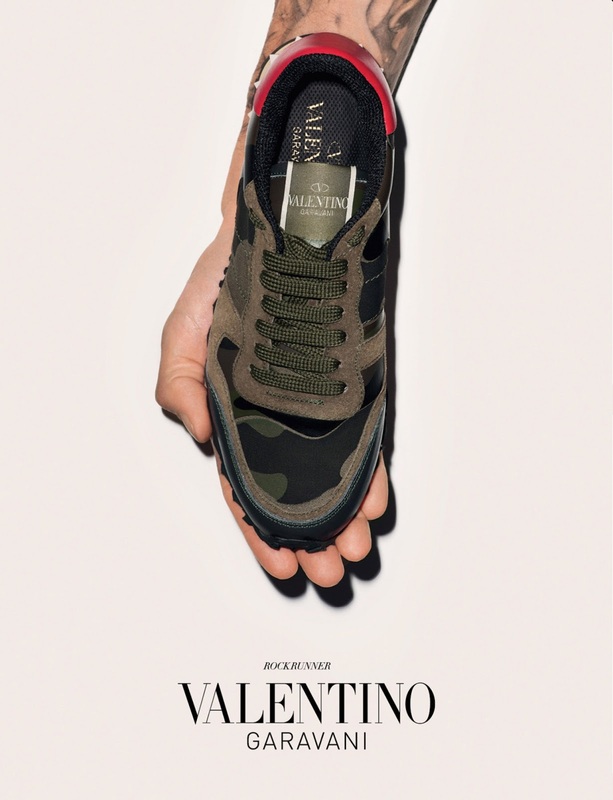 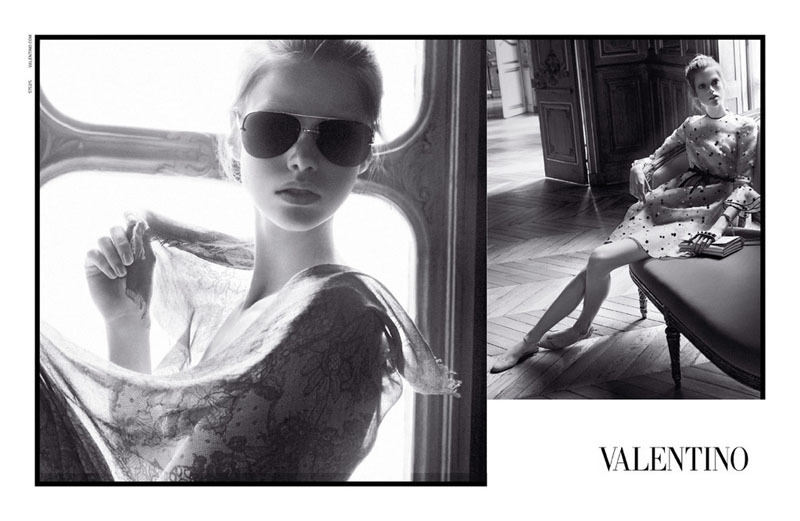 Click the links to view past campaign images of Valentino: Fall Winter 2011, Spring Summer 2011, Fall Winter 2010, Spring Summer 2010 and Fall Winter 2009. 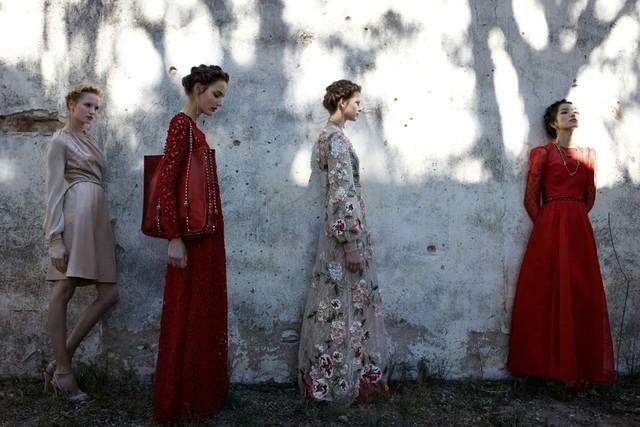 Valentino closed the Paris Couture Fashion Week, the couture of duo designers Maria Grazia Chiuri and Pier Paolo Piccioli its different meaning by the Valentino himself, they represented the couture as a high end wearable dresses some of them can be wears as a daily outfit, not only as a evening attire. 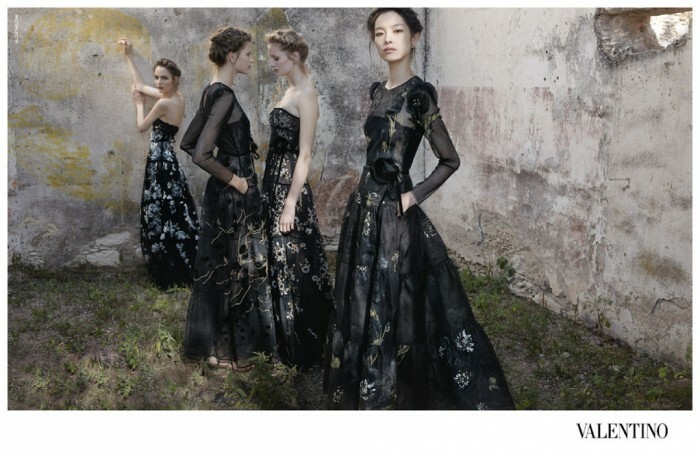 but they still take the essence of Valentino couture, quality hand made dresses with a flawless look. 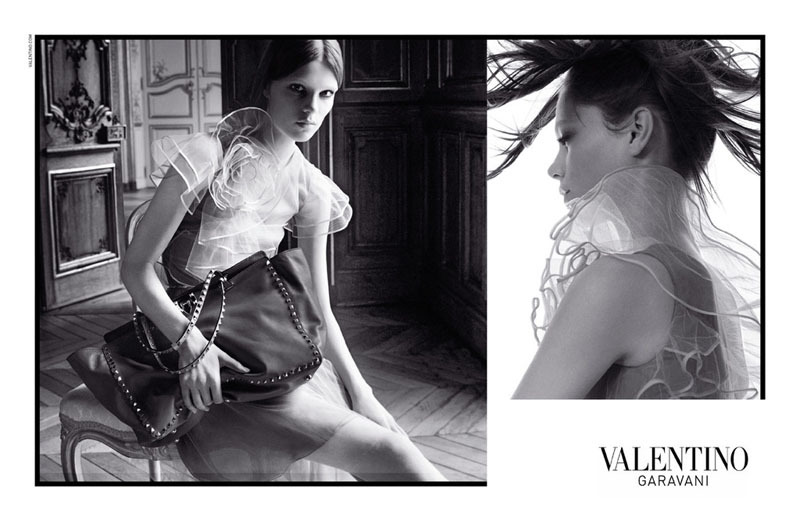 this season they brought a sequence of lightness in the collection with a laced- flowing dresses in a softy color toned. 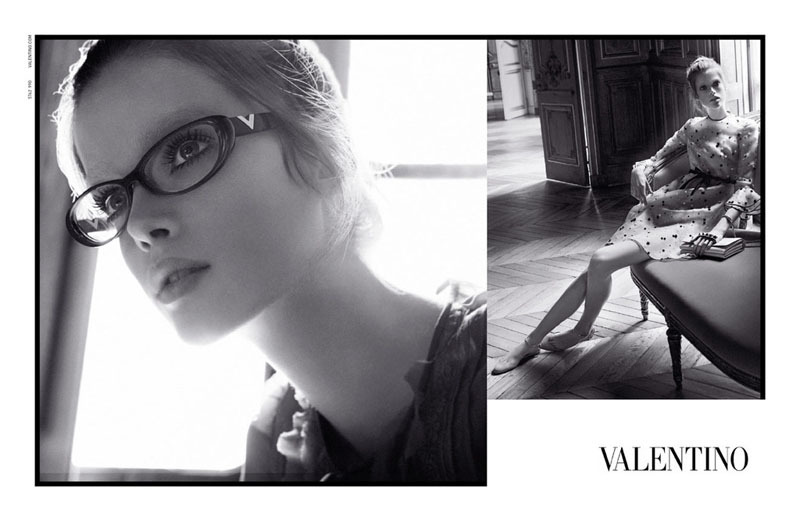 Click to see the Spring Summer 2010 campaign featuring pink haired Dree Hemingway and the sultry androgyny Iris Strubegger for their Fall Winter 2009 campaign.